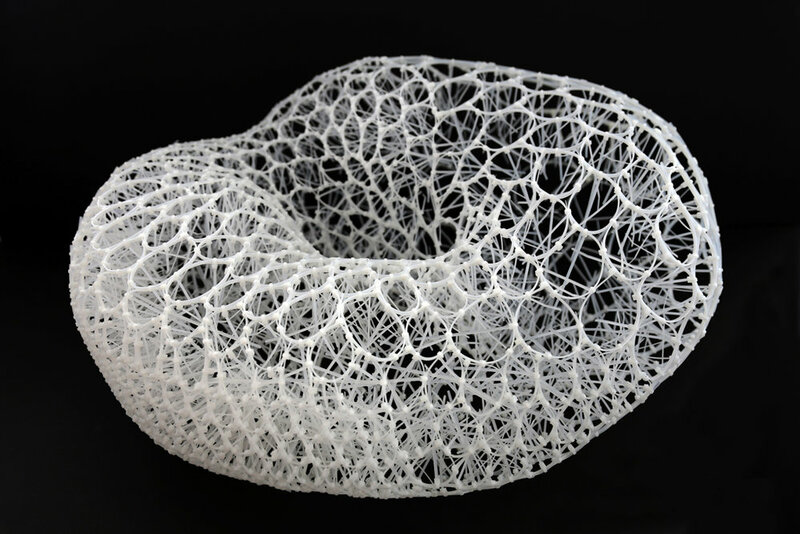 Sui Park’s work involves creating three-dimensional organic forms, mostly in generic and biomorphic shapes. She traces and tracks the subtlety of change using cheap, trivial, disposable, and commonly used industrial materials like monofilament and cable ties, which she then transforms into organic visualizations. Park is a New York-based artist and an interior architect born in Seoul, Korea. She has a MDes in Interior Architecture from Rhode Island School of Design, a BFA in Environmental Design from Maryland Institute College of Art, and an MFA in Fiber Art from Ewha Womans University in Seoul. In April 2016, Park had a solo exhibition at Denise Bibro Fine Gallery in New York’s Chelsea area. She has participated in over 50 exhibitions, including a recent exhibition called ‘City of Curiosities’ in New York, NY in April of 2017. She lives and works in Bayside, New York.